AMSTERDAM — If anyone in the Netherlands is happy about Britain jilting the European Union, they keep that sentiment to themselves. The country has been built on trade, with huge volumes of goods flowing from its ports across the English Channel. Brexit, as the divorce is known, has proved disruptive. But if Brexit is going to happen, the graceful, canal-lined city of Amsterdam is intent on exploiting what opportunities present themselves. The deputy mayor has been leading a team that is courting global companies abandoning Britain. As Britain slides toward a tumultuous exit from the European bloc, cities on the Continent are looking on with a mixture of opportunism and dread. From Amsterdam to Paris to Frankfurt, officials have been wooing companies seeking refuge from an increasingly uncertain United Kingdom. Yet many are bracing for Brexit-related chaos at ports. Communities on both sides of the channel are already contending with economic weakness as the prospect of a no-deal Brexit discourages investment. Britain’s economy expanded just 1.4 percent last year — the slowest pace since 2012 — and actually contracted in December, according to data released on Monday. Above all, a sense of resignation has taken hold that even before Brexit begins, it has delivered changes that are almost certainly permanent. Companies have moved jobs from Britain to the Continent while applying for local licenses to prevent ruptures to their businesses. The European Medicines Agency, which regulates pharmaceuticals, has is in the final stages of closing its London headquarters and moving to Amsterdam. Bankers and traders have shifted parts of their operations. Whatever happens next, none of that is going back. Amsterdam has largely struck out in attracting global banks, most of which have picked cities where they already have offices, especially Frankfurt. Bankers have taken umbrage at Dutch laws that limit the size of bonus payments. But the city has landed other elements of the financial industry, including asset managers and traders. Last month, Japan’s Norinchukin Bank selected Amsterdam as the site of its European branch. A trading platform for Bloomberg and Turquoise, a unit of the London Stock Exchange, both picked Amsterdam. “We had about 100 institutions that came to see us,” said Gerben Everts, a member of the executive board at the Netherlands Authority for the Financial Markets, which regulates financial services companies. “At least 30” had submitted applications for licenses to operate in the Netherlands, he added. Ever since the June 2016 referendum that set Brexit in motion, the Netherlands has looked on with alarm. Britain is its third-largest trading partner, after Germany and Belgium. The port at Rotterdam is the largest in Europe. Amsterdam’s Schiphol airport is a major corridor for air cargo, and a crucial transit point for the Dutch flower industry. Throw a wrench into any of that and large numbers of people are going to wind up poorer. Mr. Kock, Amsterdam’s deputy mayor, is an economist by trade who once worked for the International Monetary Fund. The economy of Amsterdam’s metropolitan area is about 160 billion euros, about $181 billion, a year, he said. Brexit appears likely to shave about €1 billion off that total. “That’s two or three thousand jobs,” he said. In pursuit of compensation, the city’s economic affairs agency has been trying to attract new jobs. Landing the European Medicines Agency was significant. The regulator employs 900 people. It is building an office tower that will be its new headquarters on the southern reaches of Amsterdam, across a highway from a futuristic hotel designed by the Dutch architect Rem Koolhaas. With the regulator shifting here, Mr. Kock and his team have focused on attracting companies within its orbit, including drugmakers, law firms and insurance companies that serve the pharmaceutical industry. 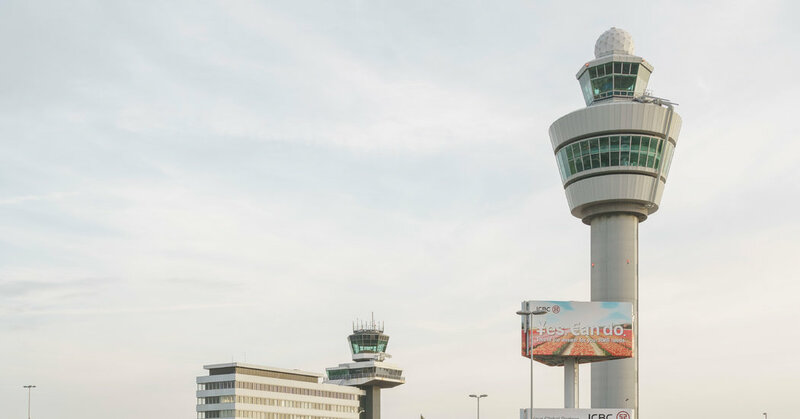 The group conducts tours of Amsterdam, talking up the city’s attributes: swift internet links; a creative work force; an easily accessible airport with more than 300 direct connections to points around the globe. Is that a dig at Paris, where officials have deployed French culinary prowess toward luring investment banking jobs? Mr. Kock grins mischievously. Bringing the medicine regulator has already helped one industry: the relocation business. Ten years ago, Roz Fremder moved to Amsterdam from Boston with her husband, who had taken a job in the chemical industry. She started her own company, Expat Help, which guides newly arriving families as they look for housing, schools and health providers. Early last year, the company secured its largest contract, a deal to help workers with the medicines agency relocate from London. On a recent afternoon, Ms. Fremder walked the eerily devoid corridors of the medicines agency’s former headquarters in the Canary Wharf section of London. About 120 employees had already moved to the Netherlands. Another 530 were set to complete the trip in 2019, with many of them working from home in the interim. The building will be closed at the end of February. Inside, Ms. Fremder’s team ran a help center for relocating employees. The walls were decorated with drawings of Dutch clogs, windmills and tulips along with a color map of the Netherlands. Expat Help has doubled in size, to 20 employees from 10. It is about to open a London office in the Shoreditch neighborhood to serve other companies moving to Amsterdam. Which makes Ms. Fremder a clear beneficiary of Brexit. “It has been an opportunity for us,” she said. Political leaders in Britain could still conceivably call off Brexit before the March 29 deadline, or they could perhaps opt for another referendum. Even then, the movements across the channel appear irreversible. Elmer de Bruin spends much of his day taking phone calls from businesspeople anxious about Brexit. He is the head of international affairs for the Dutch Association for Transport and Logistics, a trade association that represents 5,200 companies. Many of them transport Dutch wares — from garden plants to machinery — across the English Channel. Mr. de Bruin dispenses a standard tool kit of advice. Companies should apply for permits that allow them to ship goods from the Netherlands to Britain after Brexit. Now, shipments proceed without bureaucratic hindrance, because both countries are members of the European single market. After Brexit, Britain will become a foreign country separated by a border. But Mr. de Bruin acknowledged that options were limited, because no one knows what is about to happen. In London, Parliament has rejected an unpopular deal negotiated by Prime Minister Theresa May that would separate Britain from the bloc but leave it subject to European rules as a way of avoiding a hard border across Ireland. Lawmakers have failed to muster a majority for a version of Brexit that can win favor in Brussels. That Britain will crash out of Europe absent a deal, unleashing chaos on world markets, is an increasingly imaginable possibility. He assumes that the Dutch authorities will do what they can to avoid hindering trade, including coordinating customs and immigration checks. At the English port of Dover, 10,000 trucks proceed every day without fuss bearing cargo between Britain and Europe. Another 500 trucks pass through Dover from countries outside the European bloc. They sit there for as long as a half-hour, submitting to inspections and customs procedures. Brexit could turn much of the fast lane into a profit-killing purgatory. Cargo like fresh meat and fish would be vulnerable to spoiling. His company hauls garden plants and trees from Dutch nurseries, with 70 percent of the cargo bound for Britain via ferry. With 100 trucks in its fleet, the company has delayed plans to buy 20 or 30 more, given worries over Brexit. Reimposing customs checks after a quarter-century of unimpeded trade will eliminate flexibility, Mr. Smit complained. Now, Windhorst loads as many trees as can fit into a trailer. Once a customs regimen is in place, it will need to enumerate precisely what it plans to carry — say, 300 fir trees — and then cease loading even if more space remains.